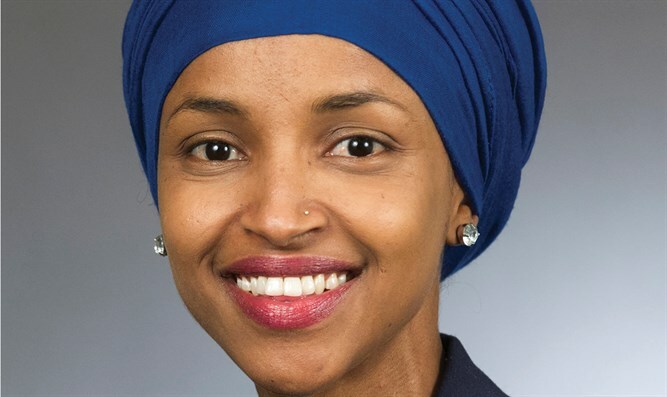 New York newspaper responds to Rep. Ilhan Omar's claim that 'some people did something' on 9/11. The New York Post newspaper on Thursday printed a photo of the burning Twin Towers on its cover page, captioned with the words "Here's your something." The main headline read: "Here's your something ... 2,977 people dead by terrorism." The photo and caption came in response to Democratic Representative Ilhan Omar's comment that "some people did something" on September 11, 2001. "CAIR was founded after 9/11 because they recognized that some people did something and that all of us were starting to lose access to our civil liberties," Omar told CAIR, the Council on American-Islamic Relations, last month. CAIR was founded in 1994 and aims to "enhance understanding of Islam, protect civil rights, promote justice, and empower American Muslims" while acting as a "leading advocate for justice and mutual understanding." Critics, including the United Arab Emirates and a California senator, have claimed the group is connected to the Hamas terror organization and provides aid to terror groups. The organization has also protested aspects of the US counterterrorism policy, and one of its employees was indicted for his role in a terror group. Democratic Rep. Ayanna Pressley slammed the Post, tweeting that the response "clearly speaks" to "post 9/11 #Islamophobia." "Manipulating her remarks is defaming & dangerous for her & her family. Stop with this recklessness. @rupertmurdoch this is on you - stoking hate, fear & division, putting REAL lives at risk. Shame on you."